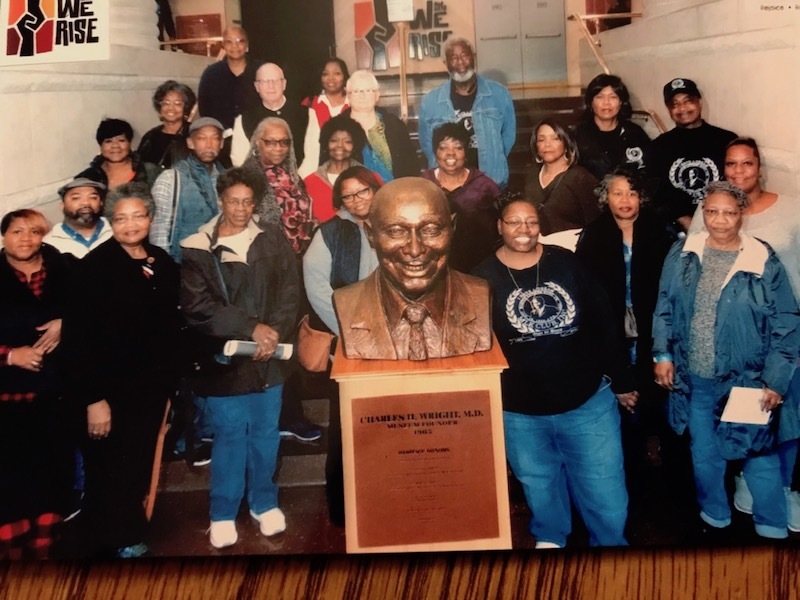 The Martin Luther King Club, Inc. of Fort Wayne conducted a bus tour of the Motown Museum and the Charles H. Wright African American Museum in Detroit. The trip allowed 54 Fort Wayne community members to tour the iconic Motown Museum and gift shop while also admiring the genius of Berry Gordy and Smoky Robinson in building the Motown Sound. The group also toured the Charles H. Wright Museum of African American History, one of the largest cultural museums in the United States. The museum constructed a large exhibit room for display until Dr. King’s birthday to memorialize Aretha Franklin. The structure was the site of her public viewing in the grand vestibule. We also conducted a tour of the downtown that has shown expansive growth and investment in the past four years. The group completed the trip by visiting and enjoying a dinner at the renowned Fishbones Rhythm and Blues Restaurant in Greektown. Everyone had time to dine, shop, and even visit the Greektown Casino attached to the restaurant. The Club’s experience was a constructive interaction for everyone and ensured that Fort Wayne, Indiana was positively represented in Motown. We normally schedule one annual trip during the summer months, however, we started a day trip last year with our visit to the National Underground Museum in Cincinnati, OH. Next October, we’re planning a day visit to the Rock and Roll Hall of Fame in Cleveland, OH. In 2016 and 2017, our annual summer bus trips were to Washington, D.C. to visit the U.S. Capitol, the National Museum of African American History and Culture (NMAAHC), memorials, and Arlington Cemetery. We started with one bus in 2016 and in 2017, we had 102 people and two buses attend our trip. In June of 2018, we traveled South and visited Memphis, Birmingham, Montgomery, and Selma. We visited and toured Beale Street, the National Civil Rights Museum, and Stax Music Museum (Memphis); the new Civil Rights Museum and Lynching Memorial, the Civil Rights Institute, and Dexter Avenue Baptist Church (Montgomery); the Edmund Pettus Bridge (Selma); and the Birmingham Civil Rights Institute. We were also able to attend the Sunday service at the 16th Street Baptist Church. In 2019, we are making plans to visit Philadelphia and tour its large African American Museum, the Constitution Center, Independence Hall, and other historical sites in downtown Philadelphia. We will also have a day to spend on the beach and casinos in Atlantic City, NJ. We hope you can join us.